If you liked this show, you should follow Sister Radio. We are SO honored to have Huda Quhshi speak with us about beauty and inclusivity, as well as her work to empower her community and women around the world. 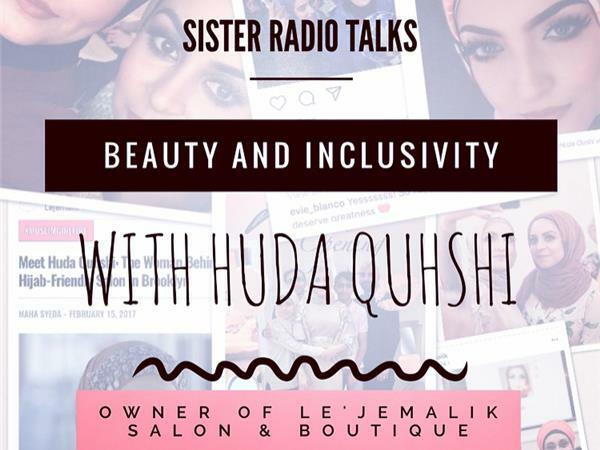 Huda is the owner of Le'Jemalik Salon & Boutique in Brooklyn, New York. Le'Jemalik is a hijab-friendly salon that is open to all women, and the response has been amazing! Women and media outlets from all over are celebrating her accomplishments. Listen-in as Huda shares her story and what inspires her life and work. You do not want to miss this show!